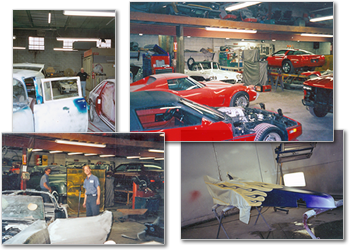 Classic Auto Body of Wilmington is a family owned and operated business which has served the Delaware Valley for over thirty-five years. Our reputation for exceptional quality and service is well established. 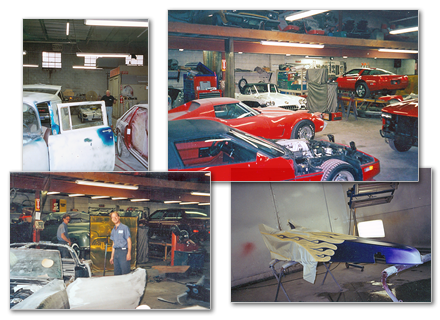 Classic provides expert collision repair for all make and model vehicles, and is the tri-state area's premiere Corvette repair facility. Certainly, there are larger shops in the Delaware Valley than Classic Auto Body — but none that combine the love of all things automotive with a broad range of specialized skills and personalized service. Classic Auto Body has built its solid reputation by consistently exceeding expectations. Simply put: we deliver quality work, completed on-time, at fair prices. Please take a minute to visit our other family owned business, Royal Pet Cremation. Here are just a few examples of our auto body repair work, custom paint and graphics, classic car restoration, race car fabrication and motorcycle customization that we've done over the years. Just for fun ... we've pulled together a few of our favorite videos related to classic car restoration, street rodding, drag racing, motorcycles and other automotive hobby activities. Enjoy!